b. Web Design [e.g. this is the first drown down menu link to the Web Design Home page. c. Campaigns [this links to the Campaigns Home page]. d. Content Offers [this links to the Content Offer Home page]. e. Whitepapers [this links to the White Papers Home page]. b. Our Strategic Web Optimization™ Process - [This is the second item in the drop down menu for the Web Designs Button. It links to the SWO paper which is also the T on the Web Designs Home page. i. NEW Website Design for: www.palmcall.com – [This is an active link] Corporate positioning, HTML tags, visible copy, NavBar design, competitive HTML source code / back link analysis, interactive design. i. Website Makeover for www.kabeelo.com - Five  NEW target markets, HTML tag copy, visible copy, NavBar design, competitive HTML source code / back link analysis, visible text, interactive design upgrade, URLs. i. Extreme Website Makeover: www.strategic-reports.com – Ten  NEW target markets, HTML tags, visible copy, NavBar design, competitive HTML / back link analysis, interactive design. i. 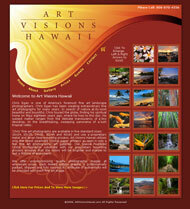 NEW Website Design for: www.artvisionshawaii.com - Two  NEW target markets, HTML tags, visible copy, NavBar design, HTML / back link analysis, interactive design. 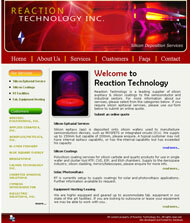 i. Website Makeover for: www.reactiontechnology.com - Seventy five  back links, two  pages of keywords, three  HTML tags each page, SEO report analytics. i. NEW Website Design for www.victimsrightsinc.com, all strategic content, positioning, voter research and copy for ballot prop. 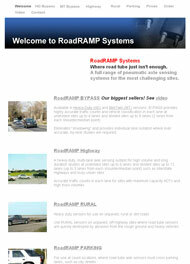 i. Website Coaching for: www.roadrampsystems.com, Steps #1, 2, 3, 5 and 6 of the Strategic Website Optimization™ Service plus general business and marketing consulting services. b. Our ICM Optimization™ Process - [This is the second item in the drop down menu for the Campaigns Button. It links to the ICM paper which is also top image [T] on the left NavBar. The file is found as the file “Eight Steps to Optimizing ICM” on the March 17 “For Joey CD. i. Word of Mouth Campaign for a Telecom Corporation: www.palmcall.com – SEO front-end planning, for “Word of Mouth” campaign, keyword baskets by market, back link strategic analysis, URLs, HMTL title tags / description tags / keyword tags, visible text. i. SEO and PPC Campaign for: www.reactiontechnology.com - Seventy five  back links, two  pages of keywords, three  HTML tags each page, PPC SEO monthly report. a. Content Offer Services Home [For specs see paragraph #11 below]. b. 8 Steps to Optimizing ICM [This is the first item in the drop down menu for the Content Offers. It links to the ICM paper which is also top image [T] on the left NavBar. The file is found as the file “Eight Steps to Optimizing ICM” on the March 17 “For Joey CD. a. Whitepaper Services Home [For specs see paragraph #12 below]. i. Software Whitepaper: Using Collective Intelligence Programming to Combat Telecom Fraud - A White Paper, Palm Call Inc. San Jose California. i. e-Marketing Whitepaper I: The Benefits of a Formal Strategic Website Optimization™ [SWO] Campaign Planning Process. Download from www.strategic-reports.com (15 pages). i. e-Marketing Whitepaper II: Tips for Implementing a Strategic Website Optimization™ [SWO] Campaign Planning Process for Large Enterprises. 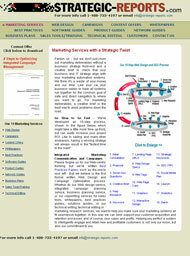 Download from www.strategic-reports.com (9 pages). i. Compliance Whitepaper: How Application Optimized Storage Solutions from Hitachi Data Systems Help Companies Achieve Regulatory Compliance – A White Paper, Co-authored with John Harker and Carlos Soares, Hitachi Data Systems Corporation, Santa Clara, California, (39 pages). i. Contributed Article: Writing the Book on your Market: Creates a Competitive Selling Advantage, A Contributed Article to Marketing Profs. h. Performance Whitepaper Links to a NEW page w/ this copy. There is only a one page image link and no download. i. Computer Performance White Paper: Computer Performance Tuning using Selective Placement of Relational Data on Cached and Non-Cached Storage Arrays, Co-authored with Walter Baker, Doug Miller, David Rodriguez and Jack Stephens, Zitel Corporation, Milpitas, California. a. Best Practices Guides Home [For specs see paragraph #13 below]. a. Software Solutions Guides Home [For specs see paragraph #14 below]. a. Product Architecture Guides Home [For specs see paragraph #15 below]. a. Networking Solutions Guides Home [For specs see paragraph #16 below]. a. Business Planning Services Home [For specs see paragraph #17 below]. a. Sales Tools / Sales Training Services Home [For specs see paragraph #18 below]. a. Technical Editing Home [For specs see paragraph #19 below]. b. Technical Editing – White Paper SOSS This is a pdf file on the CD #1.